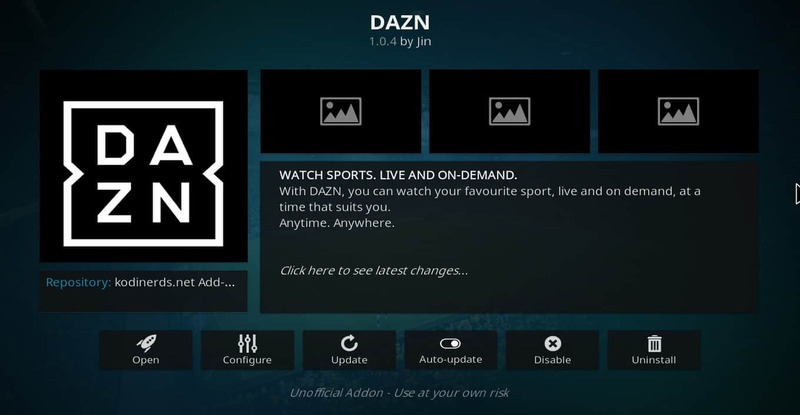 The DAZN Kodi addon is an affordable option to get sports programming without cable TV, at least for those who are able to access it. Depending on the country the user signs up from, it offers a wide variety of sports programming: Premier League matches, World Cup highlights, NBA games, Major League Baseball, NFL, NHL, and more. 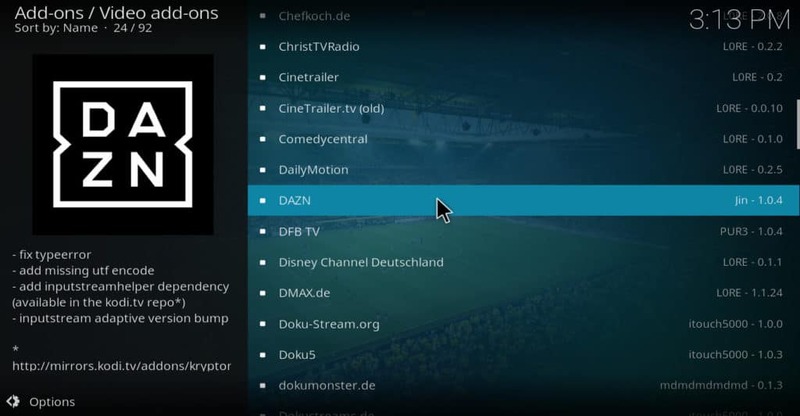 You can easily install DAZN on Kodi and stream in Germany, Canada, Japan, and elsewhere in the world, but you may need to make some adjustments. The DAZN service costs C$20/month in Canada or €9.99/month in Germany or Austria. This article will explain how to install the DAZN Kodi addon. It will also explain why some users can’t connect to DAZN and will suggest alternative addons anyone can use to still get great sports programming. Why use DAZN on Kodi? 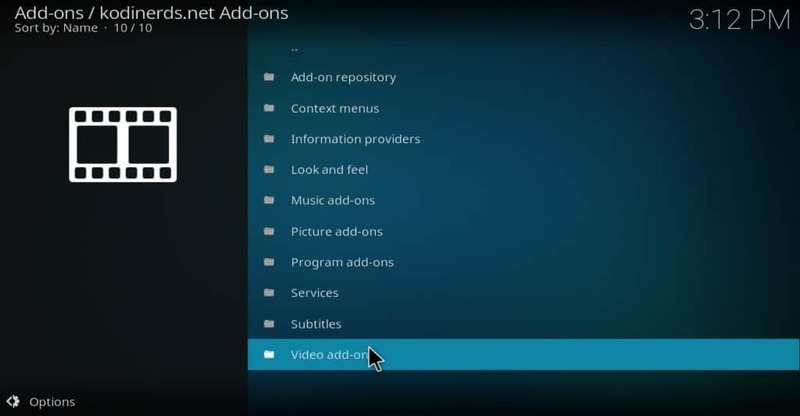 Kodi is a free media player. It can be installed on most of the popular TV devices, including Amazon Fire TV, Nvidia Shield, and Apple TV. It can also play videos from a smartphone or PC. Kodi addons like the DAZN one we are discussing here are created by independent developers and allow users to stream movies and TV shows from sites that are already available online. 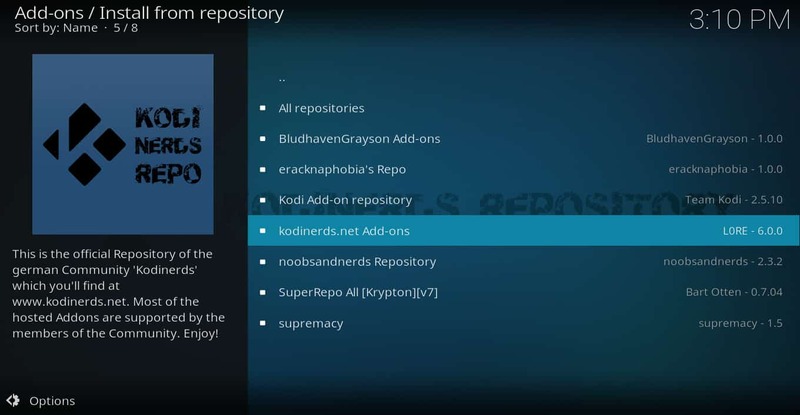 Some Kodi users employ third-party addons to stream unlicensed videos. However, there are many legitimate video-streaming sites that Kodi can be used to access, including the DAZN addon discussed in this article. VPN’s are often thought of as a way to hide unlicensed video-streaming from a user’s ISP. However, there are actually a lot of benefits to using a VPN even for users who stream from legal sites. ISPs often slow the speeds of particular sites to free up bandwidth across their network. This can cause buffering to users of sites—streaming video-on-demand services—whose speed is being slowed. A VPN helps to prevent this by encrypting your data so that your ISP doesn’t know which sites you are streaming from, leading to a higher-quality viewing experience. VPNs also help to protect users from man-in-the-middle attacks. Unfortunately, not all VPNs are equally adept at solving these problems. Some keep logs that can be stolen by hackers. Others are difficult to install or are too slow. 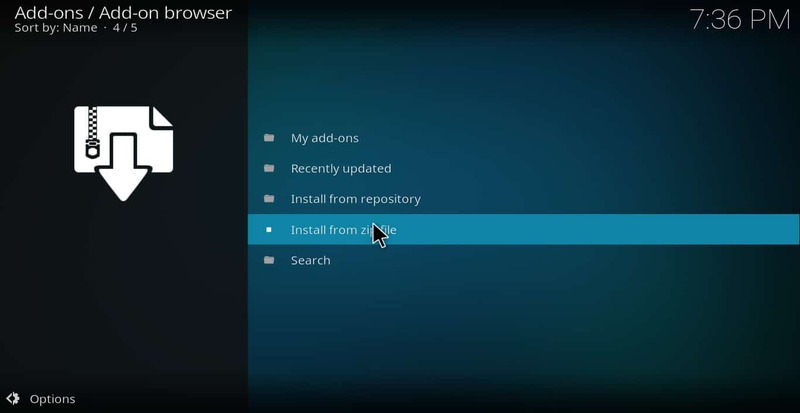 This is why we recommend IPVanish for Kodi users. In our testing, we found that IPVanish could handle high-def video without buffering. 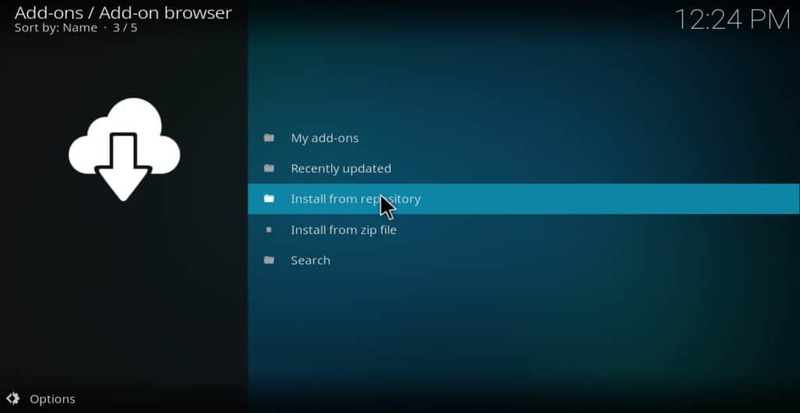 It has native apps for Amazon Fire and Nvidia Shield, making installation easy. It has a strict policy against keeping logs, indeed it tops our list of the best no logs VPNs. Overall, it’s an excellent way for Kodi users to protect their privacy and security. There are many articles on the Internet that say anyone in the world can access DAZN if they have a VPN. Unfortunately, though, this isn’t true. So before discussing how to install the DAZN addon, I’ll explain why you may not be able to access this service. If you find that you cannot connect to DAZN, check to see if you fall into one of these categories. If you don’t have a bank account or credit card from one of these countries, DAZN will give you an error message that says “It looks like you use a payment method which is not based in the same country you are in when you access DAZN. You have not been charged.” Even if you use PayPal, this error message will occur if you don’t have a credit card or bank account from one of these countries attached to your PayPal account. You are trying to access a version of the site from a country that doesn’t match up with your credit card or bank account. Even if you have a German credit card, you can’t use your German DAZN account to access the Canadian or Japanese versions of the site. Unfortunately, using a VPN to hide your location does not fix this problem because the site will ask you for your login info, and that info will be tied to the country you signed up in. You are trying to access the Canadian version of DAZN while using a VPN. This means that Canadians cannot use VPNs to protect themselves from MiTM attacks and ISP speed throttling while watching DAZN. We think this is a major flaw in the DAZN service itself and is a factor Canadians should consider when deciding whether to sign up for it. Regardless of how this affects your judgment of DAZN though, be aware that you cannot use a VPN with it if you sign up to the Canadian version of the site. You are traveling outside of these countries and not using a VPN to hide your location. If you have a credit card or bank account from Germany, Austria, or Japan, you can still be denied access to your country’s version of DAZN if you are traveling outside of your country and are not using a VPN. The German, Austrian, and Japanese versions of the site do not block known VPNs the way that the Canadian version does. But these versions still block people who do not take steps to hide their IP addresses. So if you are traveling outside of these countries and want to watch DAZN, make sure you use a VPN. 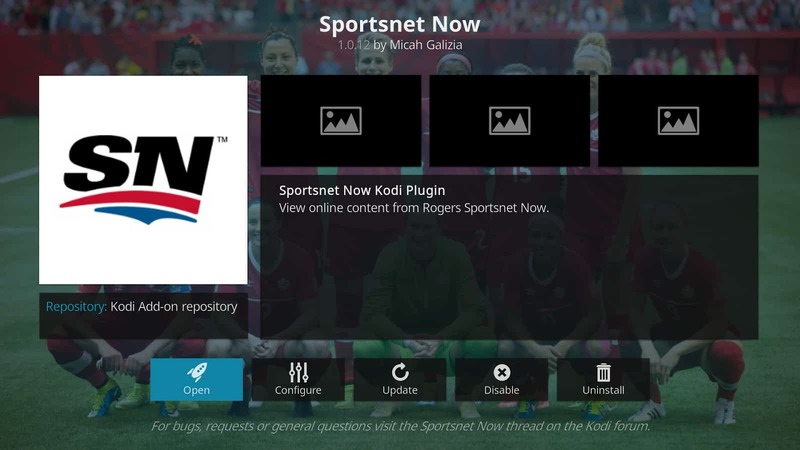 If you are not able to access DAZN or if you live in Canada and don’t want to use the service without a VPN, we list some Kodi sports addons at the end of this article that will still allow you to watch great sports content. If you want to sign up for DAZN and do not fit into one of the categories above of people that cannot access it, you can sign up for an account here. The list of Kodinerds addons is alphabetical, so DAZN is near the top. Click to open the DAZN addon information window. That’s all there is to installing DAZN for Kodi. Now that you’ve got DAZN for Kodi installed, here’s a guide to the content available. The most popular feature of DAZN is that it carries NFL Game Pass International. This allows subscribers to see all of the NFL games live, as well as every episode of NFL Red Pass and any other content from NFL Network. The soccer content on DAZN is impressive. It carries Premier League, Spanish Primera División (La Liga), French League (Ligue 1), Italian League (Serie A), and UEFA Europe. It also includes the EFL Cup, EFL Championship, and Copa del Rey. Users in Germany can see 1st and 2nd football Bundesliga matches, although they only become available 40 minutes after the final whistle. DAZN carries the Russian Kontinental Hockey League and most of the NHL games that take place in Europe. However, matches held in Switzerland are not available. U.S.-based NHL games are not available in Canada, but may be available in the German and Austrian versions of DAZN. The German and Austrian versions of DAZN offer both MLB and NBA games. The Canadian version of DAZN does not carry any major basketball or baseball leagues. Tennis, Auto Racing, Motocross, and others. In addition to the major sports listed above, DAZN also has tennis, auto racing, and other niche sports. 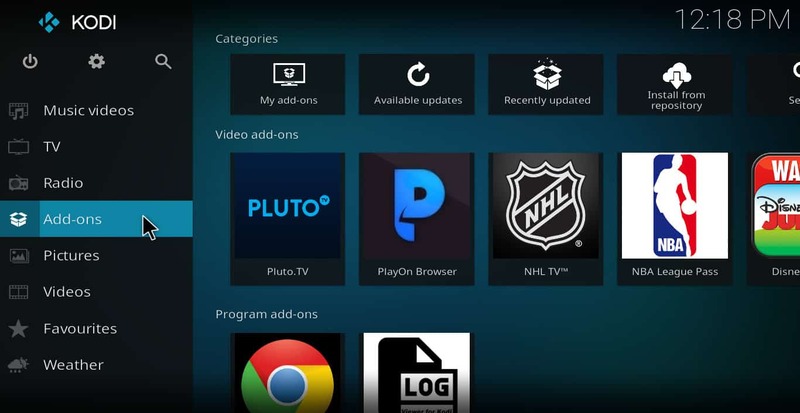 If you can’t access DAZN because you don’t live in one of the countries it’s available in, or if you live in Canada and don’t want to use it because it blocks VPNs, here are some alternative Kodi addons you can use to get sports programming. If you live in the U.S. or Europe and want to watch NFL matches, you can subscribe to NFL Game Pass directly and use the service’s Kodi addon to access it. The U.S. version shows games on a time-delayed basis. If a game happens in the morning, it is available that evening. If a game happens at night, it is available immediately after it ends. The European version shows NFL games live just like they would be shown on DAZN. 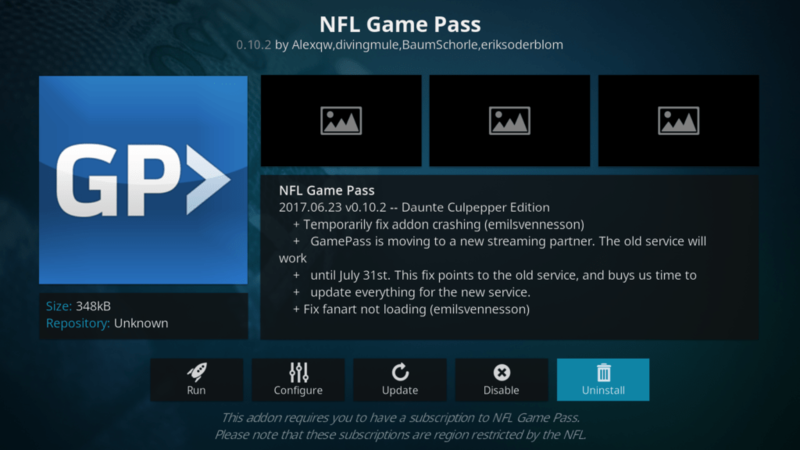 The NFL Game Pass Kodi addon is located in the official Kodi addon repository. If you live in Canada, you can see many NHL, NBA, and Premier League matches on SportsNet Now. There are some NFL matches as well, but not as many as on DAZN. If you are interested in basketball or baseball, SportsNet Now is a great alternative to DAZN. In my own testing, I found that SportsNet Now did not block VPNs from accessing their site, although a Canadian credit card is still needed to sign up. 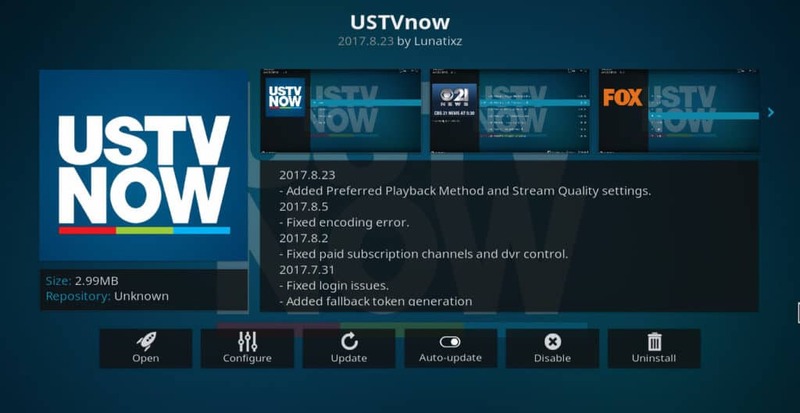 USTVNow is a video streaming service designed for U.S. military members stationed overseas and other American expats, but anyone can sign up for it. It offers all of the major U.S. networks for free: NBC, CBS, ABC, Fox, PBS, and The CW. For $19.99, a larger package of channels can be added that includes ESPN. These channels usually carry the most popular sporting events in the U.S., such as the Super Bowl and the World Series. They also often carry regular-season NBA, MLB, and NFL games on weekends. You can find even more Kodi sports addons here. FilmOn is your best bet for finding alternative and extreme sports. FilmOn has a special section that carries a good amount of MMA content, as well as some extreme sports content as well. FilmOn Simple is a free over-the-air TV service that has hundreds of channels broadcasting from across the world. It is one of the only legitimate streaming services offering free live TV on Kodi, making it a must-have for those that want to watch both sports and live TV on Kodi. 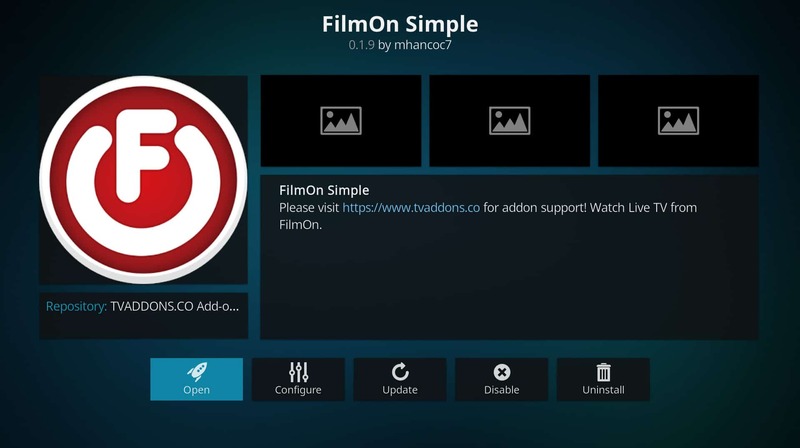 You can find the FilmOn Simple addon using the TVAddons Indigo tool. The Pluto.tv Kodi addon gives you access to the entire free TV options available through the titular service. Pluto.tv is a free, live TV streaming service. All of the options provided by Pluto.tv are completely free to access. You can create and sign into a Pluto.tv account, but this is not necessary to view the content. Among the many options available through Pluto.tv, you’ll find a sports section that contains a decent selection. While you won’t find the big sports here, you will find MMA, kickboxing, poker and other alternative sports options. If you’re outside of the U.S., you can still access Pluto.tv using a VPN. 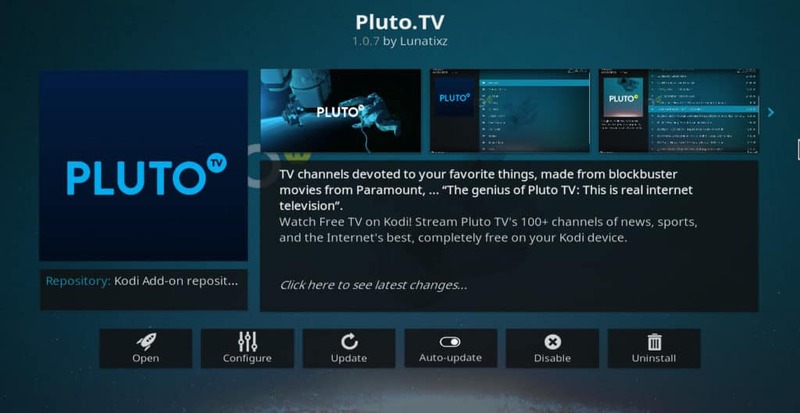 Pluto.tv is available in the official Kodi addon repository. The BT Sport Video addon provides Kodi users with a direct link to videos from the BT Sport website. No account is required to view the short videos available on BT Sport. However, if you want to get more out of this addon, you’ll need a VPN that you can adjust to use with OpenVPN credentials. The addon will walk you through how to set up OpenVPN with VPN Manager. However, you’ll likely need a VPN account active first before setting everything up. Most of the videos are short clips from the wide range of sports BT Sport covers. If you do happen to have a BT Sport account, you can’t use this addon to access it. There is no way to configure the addon to work with BT Sport accounts. 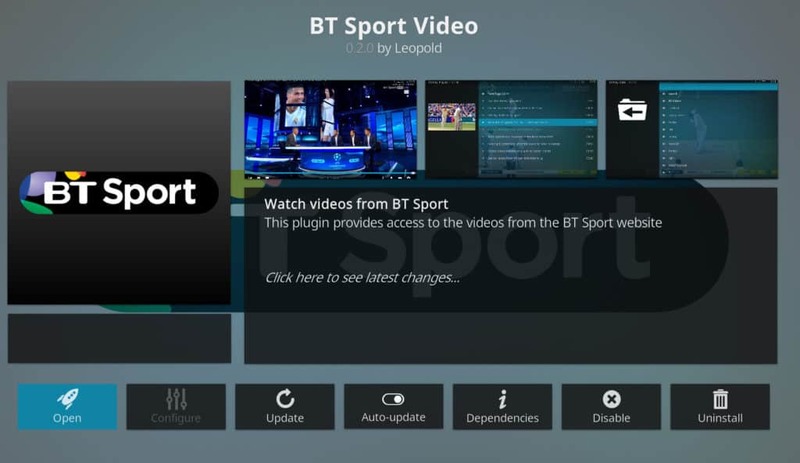 You will find the BT Sport addon in the Official Kodi Addon Repository. 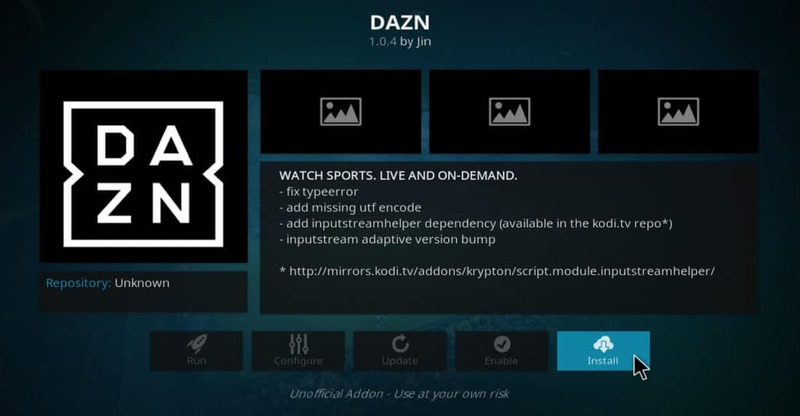 There are a lot of issues to keep in mind when considering whether to install DAZN Kodi addon. If you live in Germany, Austria, Canada or Japan, DAZN offers a lot of high-quality sports programming. However, accessing it from Canada does carry some privacy and security concerns because it blocks VPNs. Regardless of whether you decide to install DAZN or not, the Kodi addons mentioned here should help you to find entertaining sports content at an affordable price.